Oh my! The first market is tomorrow! Every fall I say I will put out a newsletter once a month to keep you all up to date on our off season antics and somewhere in December I get distracted and drop the ball. That usually means we are so busy doing off-farm things, that when we are here, it is difficult to find time to get a newsletter out. This winter has been just such a time. 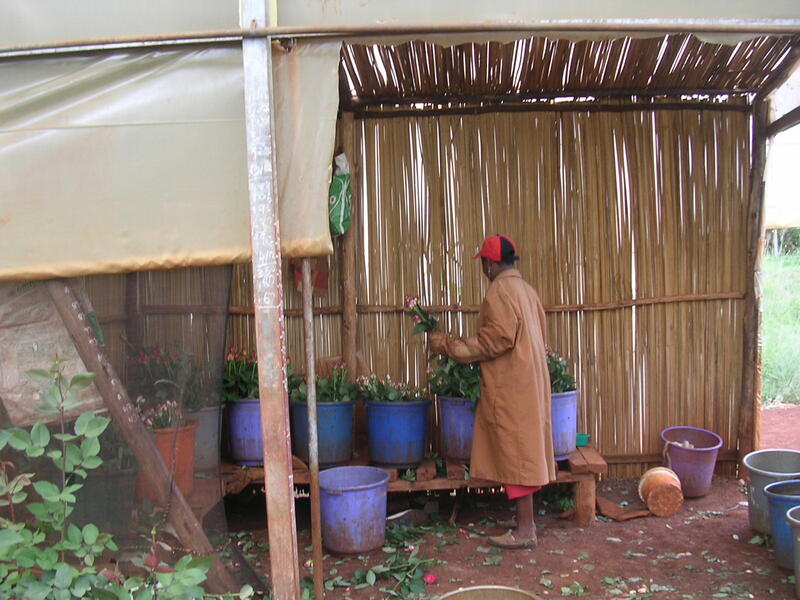 Betsy’s trip to Kenya, in December, to look at the cut flower industry there was thought provoking. Some of the largest cut flower farms in the world, including the largest rose farm, are clustered around Lake Naivasha, northwest of Nairobi. Primarily run by Europeans they were big, but not with the infrastructure or the diversity we have found on farms in Europe. Primarily for export, they concentrate on a few crops and use a lot of hand labor in sometimes very rudimentary facilities. The fact that they paid their help $1.50 a day was appalling to Betsy. When she was in Ecuador a few years ago they also used a lot of local labor but treated them very well. At the end of their trip they toured the Rift Valley and the Central Highlands around Mt. Kenya, with a guide, and saw many amazing natural things. The unusual warmth of January threw us off our usual deep winter pattern of time in the house reading and doing desk related tasks. We knew it was too early to plant in the fields even though it was very tempting. Between meetings we puttered around on various small projects including, of course, getting seedlings started in the greenhouse. Early in the month I was the keynote speaker at a sustainable ag conference in Maryland, a good group that I had not experienced before. The end of January Betsy and I both went to Louisville, KY for the Southern Sustainable Agriculture Working Group (SSAWG) conference. This is one of the best farming conferences in the country and the best in the south. Over 1200 attendees made for a very active time. I presented at several workshops including giving a day long short course on organic vegetable production. We came home, ready to get to work in the fields and the weather decided to change to winter. That threw us off balance again as we held back on planting some crops out into the fields until it warmed up a bit. The extended cold weather and dry conditions also made it hard to get soil prepared in a timely manner as the cover crops that we depend on so much for soil improvement grew larger than normal in the warm early winter and then wouldn’t decompose when turned into the dry cool soil. We would turn them under a month in advance, as usual, and then a month later on planting day till the bed again to prepare for seeding and they looked like we had just turned them under the day before. In the end all the early crops look pretty good just behind where they were at this time last year. The rest of the leviathan rolls forward as always. 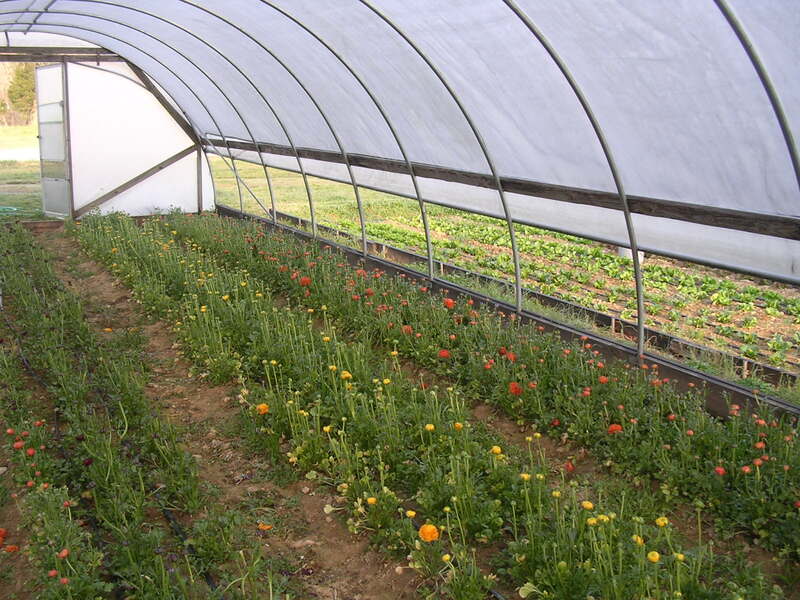 The sliding tunnels are all moved as of yesterday and the first tomatoes go in the ground on Monday. The huge array of tomatoes and peppers have been seeded in the greenhouse and are beginning to come up, 22 varieties of toms and 25 of pepper this year! On a sad note we lost a dear friend last week just as market is ready to start again. Faye Pickard passed away unexpectedly. Miss Faye as we called her (and that was her email address too) has been one of our diehard regulars since our first market in 1986. One of the early shoppers (you know who you are, there before 8:30) on Saturdays she always was there unless she was off to be with her grand kids. She loved Cherokee Purple tomatoes the most and we always saved the first ones for her, sometimes even before we had a chance to eat one! As a true southern lady she grew up eating out of the garden and was determined to introduce her kids and grand kids to the pleasures of eating good fresh food. She had succeeded as she would tell us stories of her kids asking her to bring tomatoes from the market or the grand kids eating cucumbers right out of the bag as she would come in the door! I try to impress upon audiences when I speak about markets that it is more than just selling your products, it is really about the relationships you build with your customers, they become a part of your farm too. Miss Faye was certainly a part of ours.